If you’re planning a move and your new home isn’t ready yet, what do you do? Or, when you are relocated due to employment or a business purpose and you need to move immediately and you are waiting for a new home to be allocated, what do you do? Ask our agents about storage services in local storage warehouses where we keep your household belongings safe and sound. Moving storage facilities are clean and secure, with individual storage vaults for short term storage or long term moving storage needs. We provide some of the most secure, affordable and flexible options for storage available. Store things for as long as you need. Your local agent can provide you with some of the best storage options in your local community. • Padding for damage free storage. • Climate-controlled rooms for fine artwork, piano storage, wine and books storage. Custom-built storage facilities will store anything while you are on an international move if it’s not possible to carry all your belongings with you. The secure storage facilities means we can store a wide range of goods for you. Our storage units can safely keep large, bulky items such as cars, or delicate valuables like antiques. 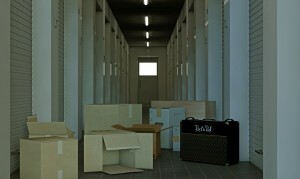 You can store belongings long/short term, we can integrate your storage services into the rest of your move. So, you’ll have just one point of contact for all your moving services. The secure storage warehouses were designed to protect goods from infestations and our storage units are covered by 24 hour CCTV. For more information about our moving storage services, please contact us at 0208 407 0023 or request a free, no-obligation moving estimate.